Since 2014, the 1oz. Rwanda Impala has become a staple in the African Wildlife series that started in 2008. 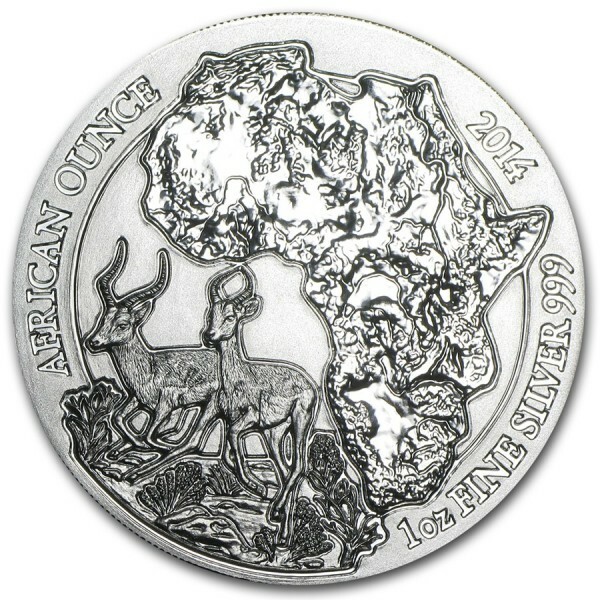 The Impala is a beautiful animal named from the Zulu word for “Gazelle.” The obverse of this magnificent coin displays two Impalas crossing through the African plains with a topographical map of the entire continent of Africa in the background. Very intricate detail makes each unique feature of this coin prominently visible to the holder. 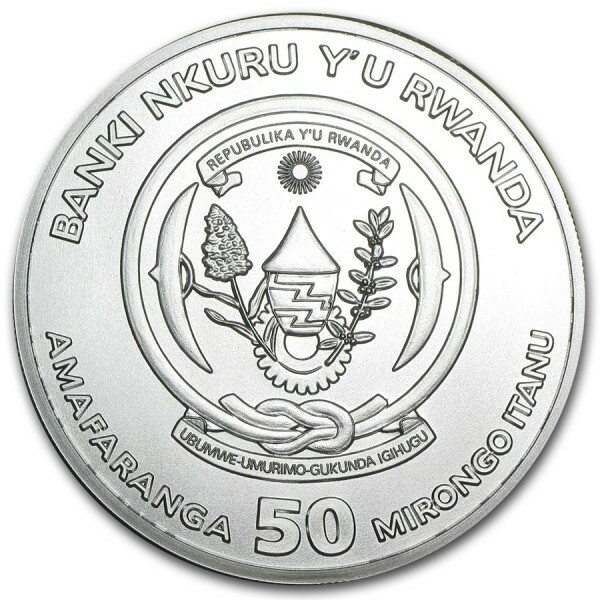 The reverse displays the official seal of Rwanda and the currency value of 50 Francs. Part of a very popular series, each coin in the series is only minted until the next coin is released, making it exclusive and ensuring low mintages.